General Characteristics = Heartwood yellow brown or dark gray brown, frequently with a purplish cast, often shows light and dark bands; sapwood whitish, sharply demarcated. Texture fine to medium; grain generally straight; luster low to medium. Resembles American black walnut. Lacks a distinct odor or taste. Grain = Grain is generally straight, though occasionally interlocked. Texture = Texture is fine to medium and uniform, with slight natural luster. Movement in Service = Movement in service is rated as medium. Color = Heartwood tends to be a yellowish or grayish brown, with overall mostly bland figuring. Color tends to lighten and fade with exposure to light. 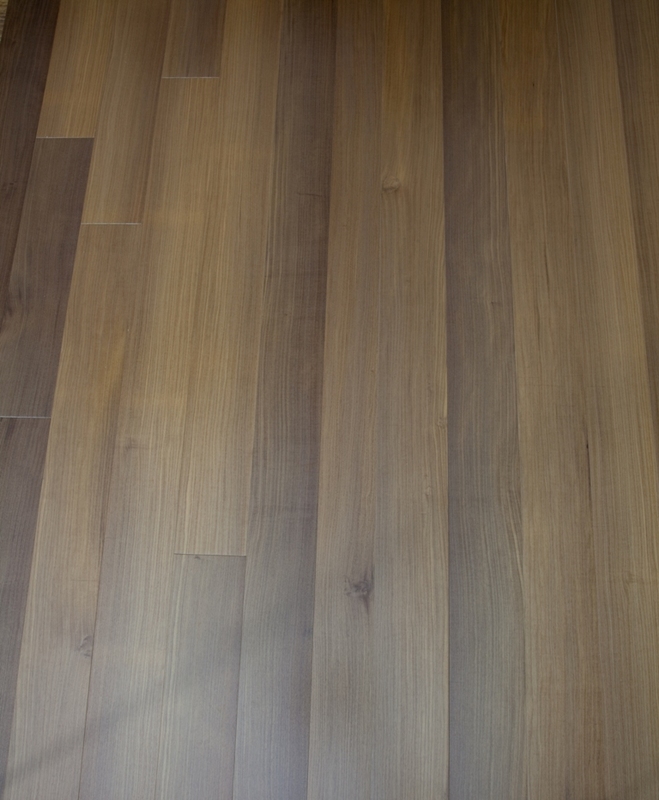 Sapwood is yellow to nearly white, about 1 to 2 inches wide, and is clearly demarcated from the heartwood.